Iraqi is like any other Country it has traditions, culture, and vibrant daily life that reflect the character of the people living in it. 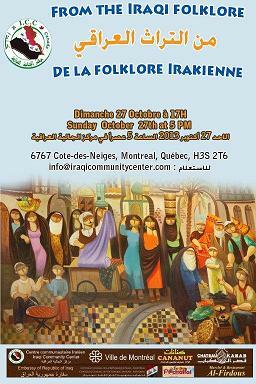 On the 27 October 2013, at 5 pm at 6767 côte des neiges, The Iraqi community Center is organizing it’s annual event, this year under the title “From Iraqi Floklore”. We are not offering you the lamp of Ali Baba and we will not take you on a ride on a flying carpet. 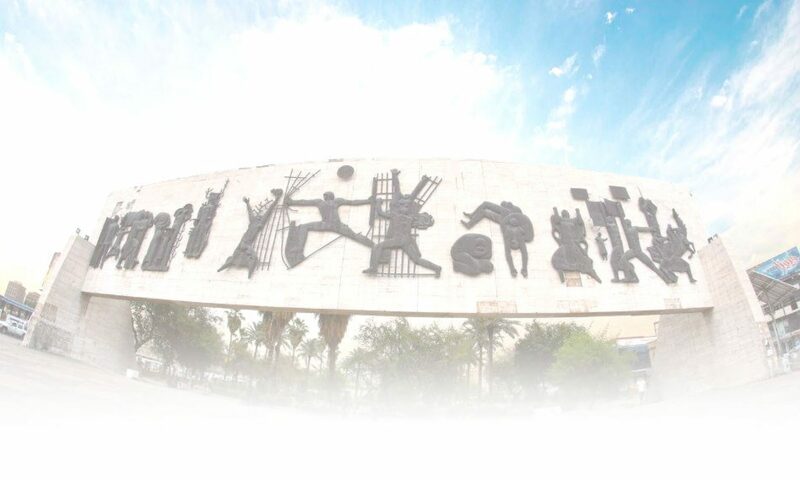 But we promise you a remarkable experience while partaking in the daily life of a typical neighborhood in Iraq. You will try some of the typical food you will normally find on the streets , such us our famous Shalgham (turnip cooked in date molasses), our famous falafel sandwich is not to be missed, you can end your trip with a cup of tea at typical Iraqi coffee shop and listen to the traditional Iraqi Music. Entry Tickets are $5 for adults and free for kids under 12 everyone is welcomed. A supervised day care service with amusement for children 4 to 10 will be available ($ 3 per child).This event is funded by CDN/NDG Borough-Ville de Montreal and merchants and volunteers from the Iraqi community.